A popular theme for younger children, dinosaur cakes are a bit of a repeat thing for me so I’ve grouped several cakes together in one post to save repeats! 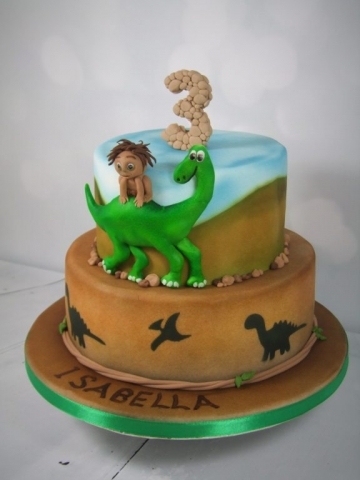 The first one was a two tier cake, with a bas relief effect for the dinosaur and boy. 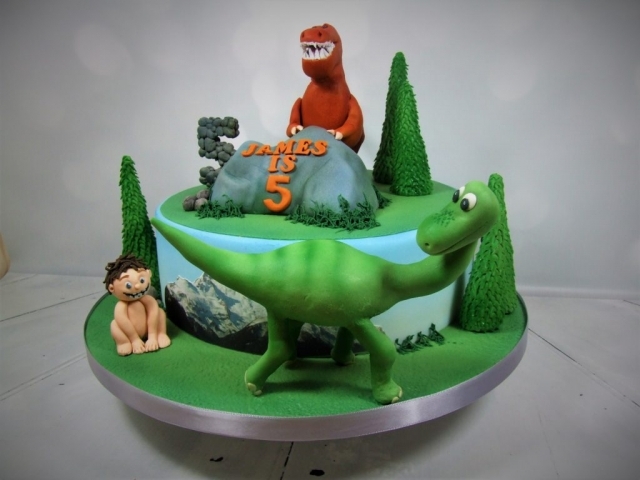 The airbrush was well employed to create the landscape with the dinosaur silhouettes, add extra shading where needed on the dinosaur itself, and create the sky effect. 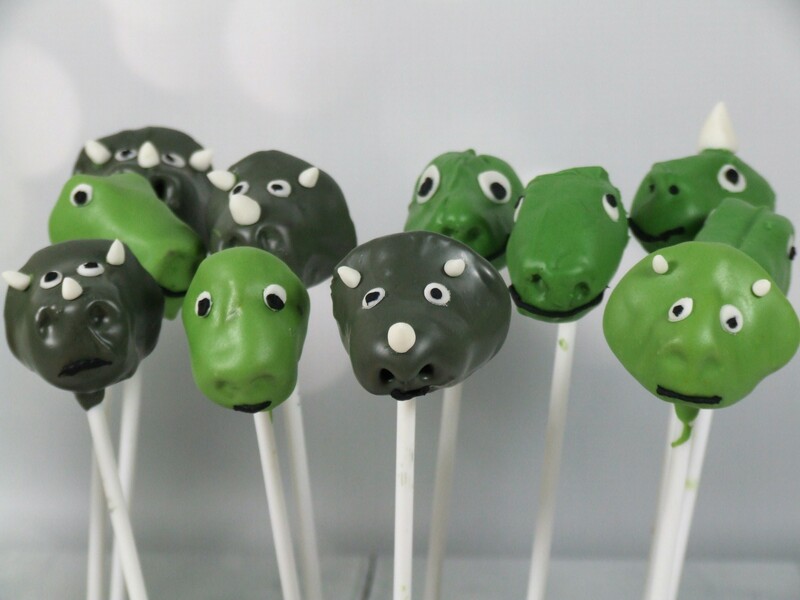 The order was completed with some dinosaur themed cakepops. The next one was a little simpler with full 3D dinosaur models made from icing. 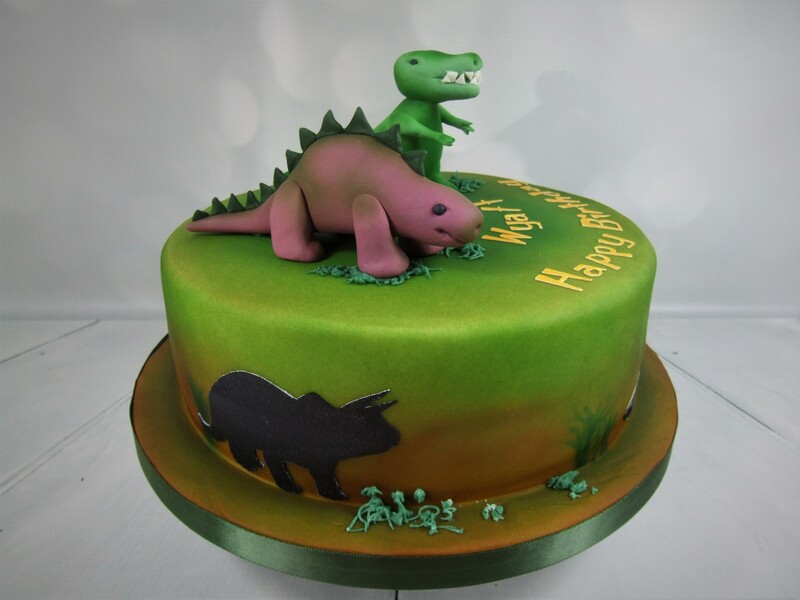 This time I cut the silhouettes from coloured icing “paper” using a new machine I had recently bought which links though to the computer to cut shapes designed in its own software. 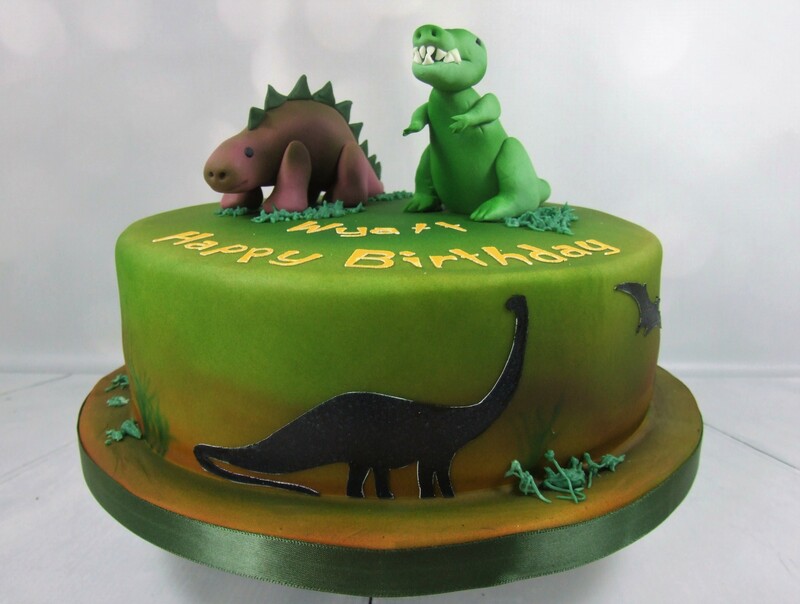 Again I used the airbrush to colour the cake and enhance the dinosaurs. 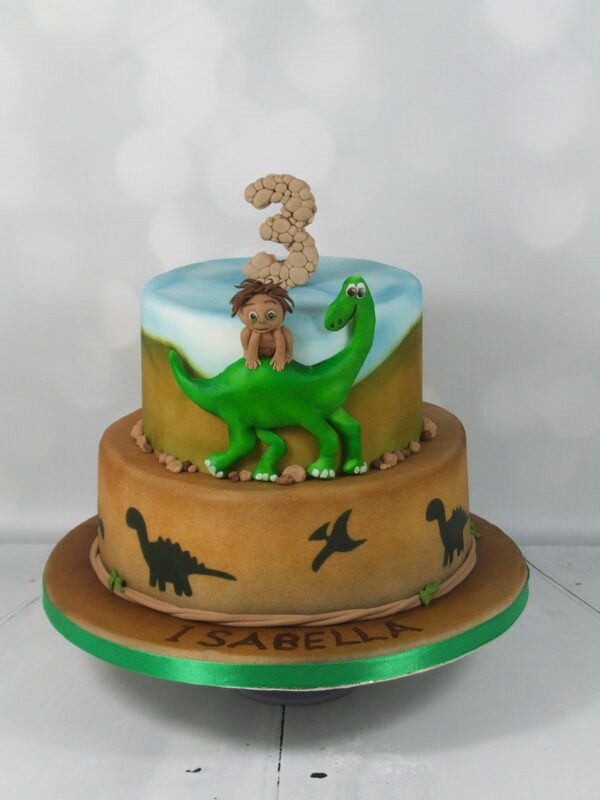 Next, a cake to please a 5 year old – not an easy task as my customer found out when she asked her little boy to choose his own birthday cake! 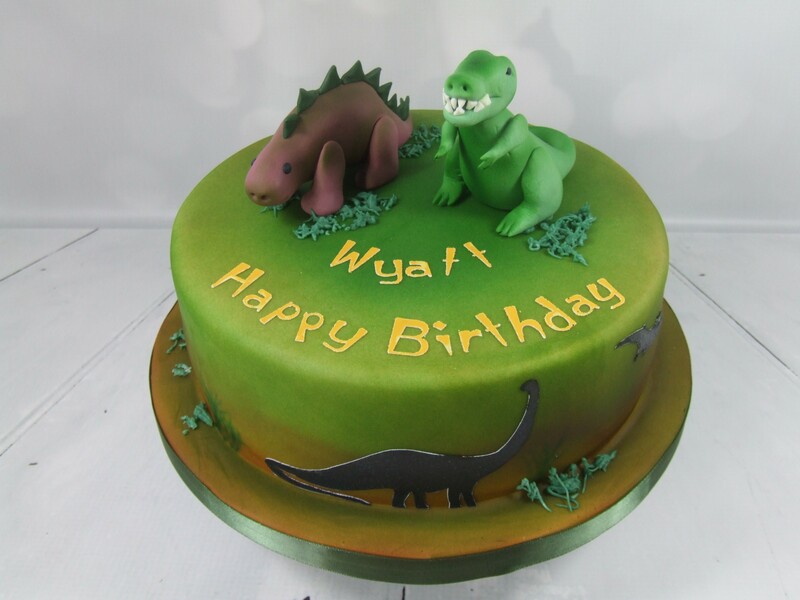 After a few false starts on themes and designs, he settled on this dinosaur cake. 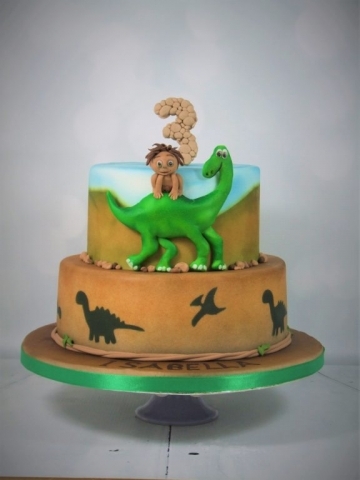 Mostly I like to make all my decorations totally edible but in the case of the dinosaurs this time it just wasn’t possible, and some internal structure was required to stop breakage during transportation. 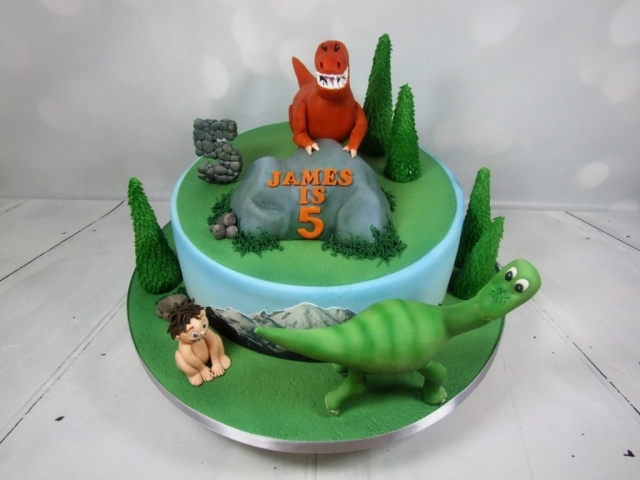 The rest of the cake, including the photograph of the mountains, and the rock (which was made from rice krispies) was all edible. 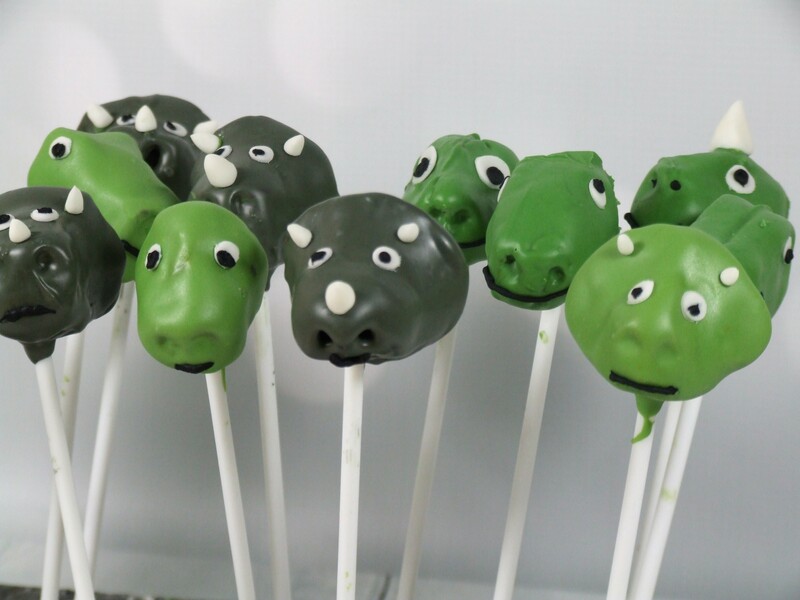 The orange dinosaur’s body was also rice kripsies to keep the weight on its legs to a minimum. 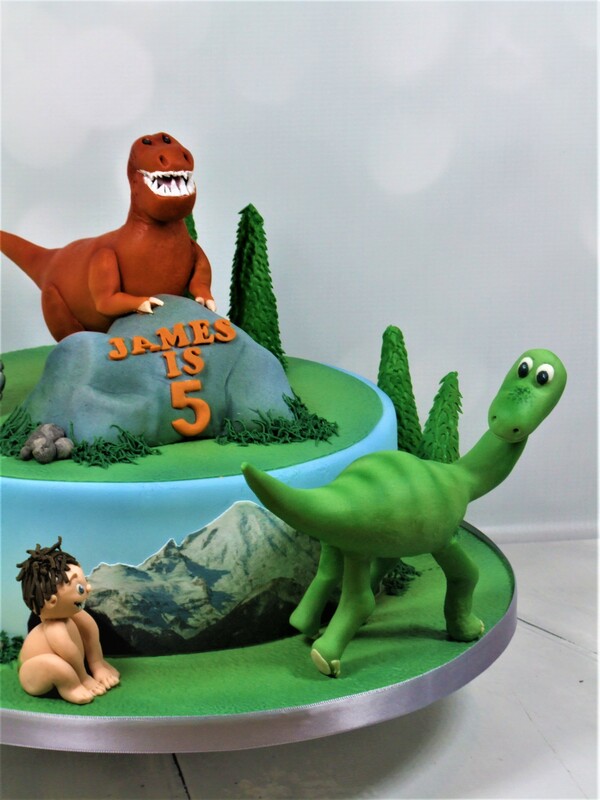 Before being added to the cake, the models had a “spray tan” from the airbrush, as did the cake itself and the rock. 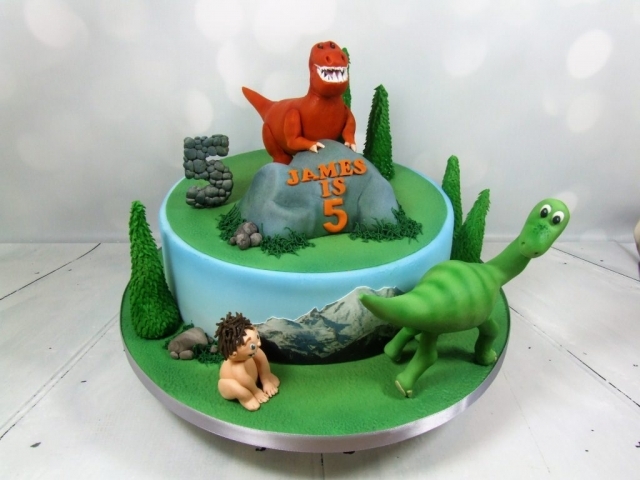 Everything had to be totally spot on for the little boy involved, and I heard later it had been a great hit with both him and the family. Always nice to get feedback from customers .